Three years ago I became a student at the Mytyl school in Rotterdam. After I had been there for about two weeks, we celebrated because previously-stolen instruments were returned. At this party, there were some students who played an electronic saxophone. After that event, I went to Ruud van der Wel to ask if I could play an instrument. A week later, my first lesson was not a big success because I could barely move my fingers. I couldn’t press the keys on the instrument. I was quite disappointed. But my good spirits returned when Ruud said, “I have something new next week that I want you to try.” I was excited! At the next session, Ruud took the Magic Flute out of the box and installed it so I could play it straight away. What an invention! Play an instrument without using your hands! It was almost Christmas so we rehearsed “Jingle Bells”, which I quickly mastered. With this song as a starting point, we practiced other songs. It was a great feeling to finally be able to make music myself! I was also happy about the good exercise for my lungs. Meanwhile, Brian Dillon kept working hard on an improved version of the Magic Flute. Ruud asked me regularly for feedback on the instrument. Soon, this new version of the flute was ready to use. This was indeed much better than the other, and we soon started playing music with it. We were asked to perform at the Utrecht “Support” Exhibition. That was a really cool thing to do! Soon we were asked to do even more demos, and I never said no when I was asked to help. In February 2009 My Breath My Music officially became a “not for profit” Charitable Foundation . I help whenever I can. To celebrate My Breath My Music becoming a Foundation, we organized a big party where I had arranged that we would be on national television. Just before that party, I became the Public Relations Assistant for the Foundation. I am very proud about that. We have a lending program that makes it possible for students to have an instrument on loan at home. I manage that part. I also do other things including gigging, interviews, sponsorships and much more. 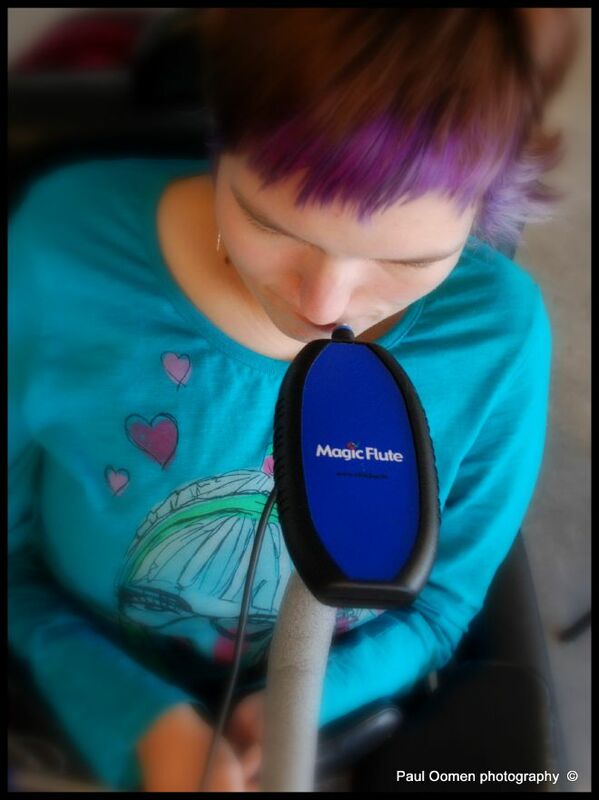 The ‘Magic flute’ and My Breath My Music mean so much to me. 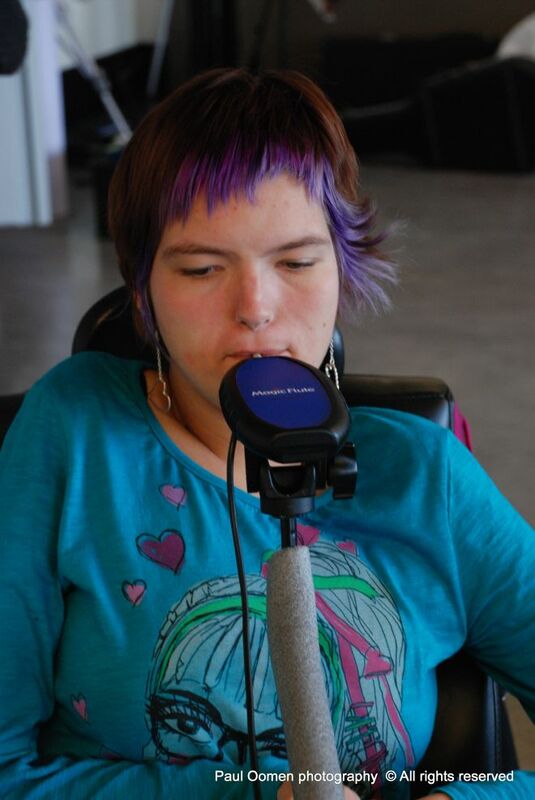 I think it’s super fun to meet other people and to show them that having a disability doesn’t mean that you can’t make music!